Additional Info: "The safest place to hide is…in sanity." and "If there's one thing I'ved learned, it's to never leave a witness behind. 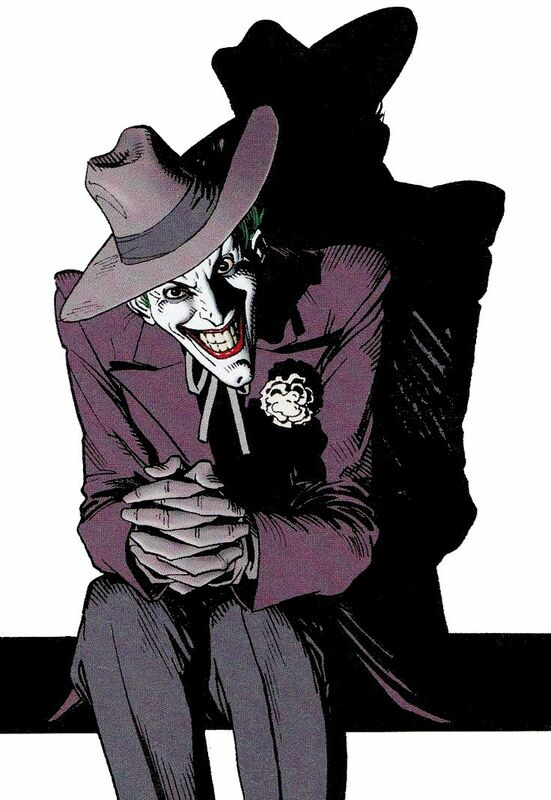 I don't know who this Jehovah guy is, but he is about to owe me a solid…"
No one knows for sure the true origin of Joker. Some say he was the son of a circus performer that went by the name of Jerome. Others said he was a failed comedian that fell on hard times that went by the name of Jack. Another group claimed a rising mob boss by the name of Jack Napier was a cold-hearted and calculating man that somehow changed. Any theory that might have given a clue about the Joker leads to graveyards and tombstones. All three popular theories have leads that take someone to dead bodies, regardless of the myth. The circus workers that remembered a young boy named Jerome? Gone. Some were accidental deaths, others old age and a few death have made people wonder, but the evidence around them could tell nothing. The family of the comedian died. So did any neighbors that remembered them directly. Tragedy was the theme for this string of death. The mobsters that remember more than just the basics met bloody demises between rivals and misfortune. Years ago there was a Red Hood that worked with a gang for Ace Chemicals. When Red Hood fell into the chemicals, some say he willingly jumped and others say Batman knocked him in. He emerged as something different entirely. What emerged became the Joker, a brazen and unstoppable force in the underworld. Some competition didn't take him seriously at first. A guy that showed up a purple suit, looking like a clown didnt exactly strike fear. His new actions did. First came the "magic trick." A pencil was stabbed into a table then some low-level enforcer was grabbed and had their face shoved down onto the pencil, eye-socket first. The guy fell to the floor and was dead as a doornail. "And its gone," the Joker said with a small laugh. Some believed him. Others thought he was a cruel joke. A moment later he shook someone's hand. The receiver complained of pain, like a pin-prick. Seconds later the guy was on the floor laughing while he screamed. His face had paled, eyes had gone yellow, wide and bloodshot, a grin was etched onto the man's face and the man was completely unable to move. "Do I have everyones attention?" Joker asked. Not everyone fled, but there was a fair share of detractors. Those that stayed helped build the reputation of Gotham's newest player in the criminal world. After time some considered him King of the Underworld, the Clown Prince of Crime and a plethora of other names that put him in contention with Rupert Thorne, the Falcone Crime Family and Gotham's other movers and shakers. All good things had to come to an end. Batman eventually caught up to him. Every time, Joker got sent to Arkham. Every time he managed to escape. One of his more recent escapes came with assistance to a Dr. Harleen Quinzel. She was one of the Asylums newest doctors. Before anyone knew it, she was helping him out of the Asylum. No one knows why he chose Dr. Quinzel. People thought she was an easy mark, the new girl that didnt know any better. Other colleagues speculated it was the name. Her name was able to metaphor into a joke, like she was made for him and some part of him needed to properly mold the woman into his image. A small group considered he was lonely. Regardless of his origins, Joker always kept his associates at bay. Over time people, no matter how insane, were bound to feel isolated. Harley Quinzel was a cure to that loneliness. When he made it to the underworld that time, the Clown Prince had a Princess, the King had a Queen, and God help anyone that disrespected the Queen. 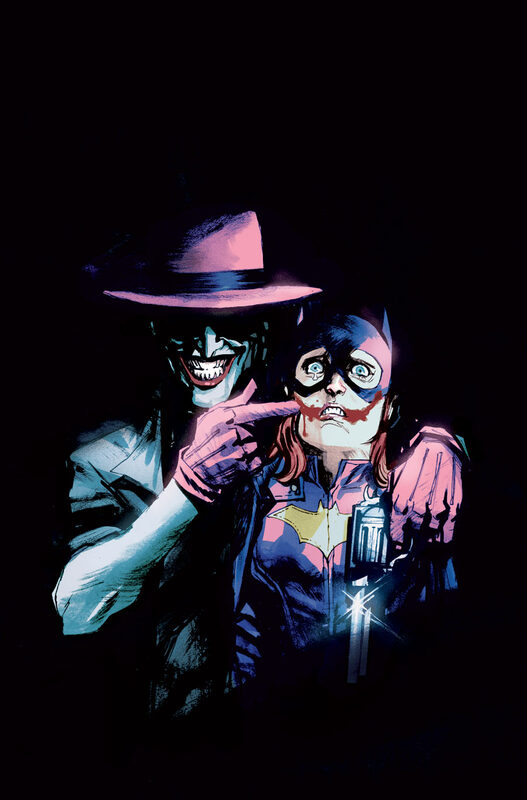 Joker has killed associates for calling Harley uncouth terms, despite any treatment one by him, it was very apparent that in is mind it was Jokers right to do that and no one else's. Now, he was twice as deadly because there was a capable accomplice working with him. Joker was able to assemble a crew faster than before. The plans could be darker and more elaborate. A distraction element could have been added. Ever since the creation of the Joker, he has had it out for Batman. No one knows why exactly. A list of speculation has included: Polar opposites that need one another much like light needs darkness and darkness needs light. Frankenstein's Monster going after his creator for existing in a world that he didn't want nor asked for. Simple elimination, the world would have been easier to work in without a Batman. Because it was fun. Whatever the reason the last known constant about the Joker is: Gotham has never been the same since he showed up. Madness: Some minds you just dont want to peek into. This not a mental barrier. However, with a mind as twisted as the Joker's, it causes backlash to the psychics daring enough to enter. They will feel the madness he endures and embraces on a daily basis. The longer they dig, the madder they get. Milliseconds are hours. Seconds are days. Do you really want to keep digging in this mind? Intelligence: Joker's intelligence is far beyond normal people. If someone gave him a test, and he willingly took it properly, they would dub him a "prodigy." Toxin Immunity: Certain poisons and chemicals he has a built up immunity to, thanks to a certain mineral bath that came at Ace Chemicals. Isn't Chemistry Fun?! : He's a renowned chemist. How else could he create his own toxin? Toy Maker: He's also a renowned engineer. How else did he make such lovely toys? Put 'Em Up! : Joker knows the basics of fighting, how to dodge, duck, dip, dive, throw a proper punch, as well as throw some proper kicks and takedowns. Look at Me! :He knows how to create a distraction. Say Cheese! : Point-click shoot! Or is it point-shoot-bang!? Whether it's a gun or a camera, he knows how to properly aim and fire at his audience. Pointy End Goes HERE! : He's a better expert with knives and stabbing weapons than with his fist. Some Japanese sectional weapons, like the rope dart, Joker is pretty well versed in. Plus, he knows some melee weapons like Kali sticks, which transfers to bats, crowbars and the like. KABOOM! : In order to make a bomb and know how and where to place it, one has to be an expert in demolitions. He does like to make things explode. His knowledge of placement can also be used to set up traps. "GUNS DONT KILL PEOPLE, PHYSICS KILLS PEOPLE! ": Science is something he excels in. Now, to make certain traps, tricks and timing works, one has to have an innate understanding of physics. Empathy: He has to understand human emotion to manipulate it. Fear: The Joker knows how to use his looks, reputation and everything else just to make himself come across a little scarier when necessary. Leader: A person that can inspire people, knows what to say, how to say it and how to properly motivate people. Joker is quite versed in this. MAKE UP! 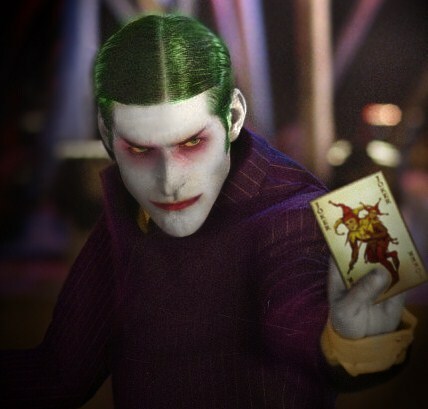 : Joker is really good with makeup for disguises and aliases. Yo-Yo: A simple yo-yo that conceals three curved blades that can pop in and out thanks to a trick. The yo-yo then works like a Japanese rope dart. You should really see how he walks the dog. Jack-In-the-Box: A simple Jack in the box. Music plays as the handle is turned on a box that is a little bigger than normal. What pops out is a nice surprise. It's a sawed off double-barrel shotgun that works on a Derringer concept. Both rounds go off simultaneously. People usually hold jack in the boxes at face and chest level. Imagine taking two shotgun shells simultaneously in this area, talk about a mess! Acid Flower: A flower that he wears on his lapel is just a flower. Other times it can spit acid for one to two really good hits. Crowbar: No trick to it, he just has sentiment to a particular one that bears some bloodstains. Joy Buzzer: It presses into the palms of someone's hand and depending on the voltage it can either render them immobile like a Taser or it can kill them. If it kills them, he'll need to resupply the battery source. The Thumb Tack Trick: Like the joy buzzer, this fits in the palm or on the fingers. Cruel people do this to prick the hands of victims. When Joker does it, the pin is laced with poisons or a particular brand of toxin. It really depends on his mood which. Long Barrel Gun: At a glance people may laugh at the wide barrel. Gun experts will say it looks like a Smith and Weston .500. However, something is off about it. That's because this gun can handle .950 bullets (one of the largest caliber known to man). Yes, he knows how to shoot it and how to adjust for everything with the kick back. Sometimes hell let others fire it because they won't know how to handle the kick back. Plus, it's funny to watch their faces, and what comes after. The other long barrel gun: This is a Smith and Wesson .500. No tricks, just a powerful gun that would make Harry Callahan weep. Playing Cards: Razor sharp, thin, custom and they can cut through most surfaces like butter and are great for throwing. Depending on the deck, it can be S7 Tool Steel or Tungsten. Joker Toxin: A special toxin that bleaches the skin, causes a smile to grow, the eyes will yellow and a person will laugh themselves to death. "Theyll die with a smile." Knives: He's just a fan of these and has many in all shapes and sizes. The Suit: Nothing special about it. Just a custom suit that has no identifying marks. Explosives: He likes things that go boom and will sometimes give them pretty cases like presents or dolls, because everyone should have a present that is guaranteed to leave people exploding with joy…or just exploding. Cane: Just a regular cane with a custom grinning joker head in gold. However, it packs a wallop given the density of the metal. Jester Cane: When it's the joker's face wearing an old fashioned jester's cape, a simple twist can unveil a small sword. Often the inside is laced with a poison or toxin just like some of his other weapons. Goons: Whether they're old pals or eager youth that are intoxicated by possibility, they always seem to come to him when he needs them. Stash: The longer he's out, the more goodies he has from money to chemicals. This makes creating his arsenal easier. Multiple Choice: With no background, no records and barely anything else, The Joker cannot be leveraged by his past. He cannot be identified by anything other than Joker. Certifiable: The state has him certified as insane. They will never throw the death penalty at him until he legally tests as "Sane." It doesnt make it any harder to get out of maximum security prisons. This just explains why the state has never put him in a chair, be it electrical or near injection tubes. Reputation: Because of how he is known, some people will run from him instantly. Others may think he is too insane to deal with on a business level. This can cause complication. Low Income: When someone gets captured they need to restart their resources from the ground up save for a few items. This can make it hard to produce large amounts of Joker Toxin from time to time. This will force him to get more, and his actions will involve adding more crimes to his rap sheet. Look: There's no going back. To them he's just a freak. This is how he looks, always. Water can do away with some of his disguises too. At least he's always smiling. 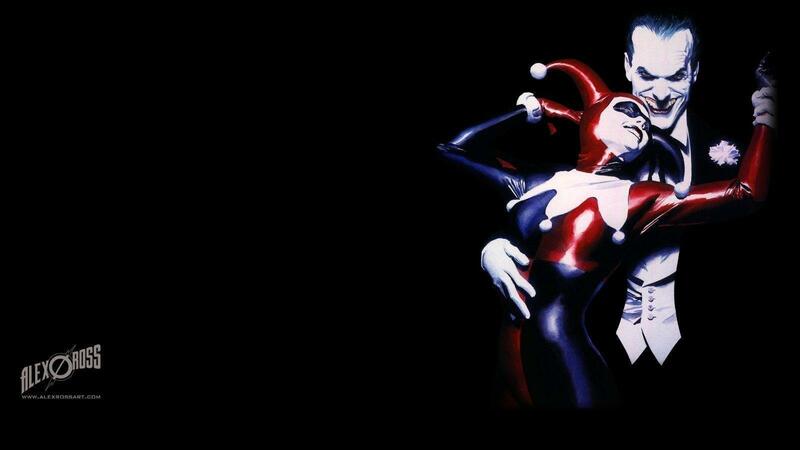 Harley: He may beat on her. Others may not. Joker will, and has, killed for the "fire in his loins!" even for the slightest of insults. But she is the one thing that MIGHT be exploitable.